Paladins Debuts on Nintendo Switch Next Week | Nerd Much? We’ve heard the rumors for a while now, but today it’s been confirmed. Paladins is headed to the Nintendo Switch. Hi-Rez Studios announced the news today on their blog and dropped a fresh trailer showcasing the game running on the Switch. The developers say the title “feels awesome” on Nintendo’s platform. It’s running at a smooth 60 frames-per-second, which the devs credit to a custom in-house port of Unreal Engine 3 that the team is utilizing for the port. Hi-Rez says you’ll be getting the full experience whether you’re in docked mode our out on the go. The game will feature cross-platform support too with Xbox One players. 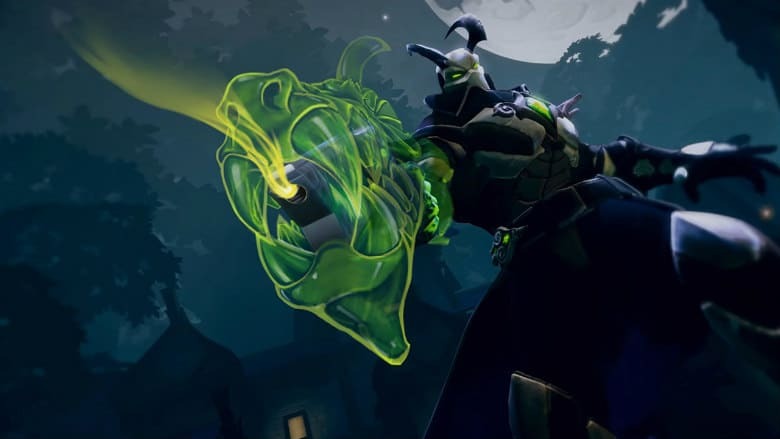 While the full free-to-play game will be releasing later this year, those that purchase the Paladins’ Founder’s Pack for $29.99 will be getting the game dramatically earlier on June 12th. The Founder’s Pack includes all 36 of the game’s Champions. Whatever Champions come to the game down the line will be added to your roster free of charge too. The shooter’s Champions sport a wide range of abilities that make them all feel unique from one another. Hi-Rez continually adds new Champions into the mix to regularly keep things fresh. On a semi-related note, the fact that Paladins has been announced for Switch lends further credence to the Fortnite Switch rumors we’ve been hearing. Someone was able to pull Fortnite data from the Nintendo eShop earlier this week, and then found Paladins data shortly after. Today’s confirmation of Paladins on Switch should signal that Fortnite is a sure thing too. One thing we don’t know, however, is if Realm Royale will make its way to Switch. We’ll keep you posted once we get confirmation, but for now, there’s no official confirmation.